"Drinking is like pouring smiles on your brain." In my line of work, we bring lots of smiles to brains all over this great state of Florida and beyond. We had a great deal on Sauternes yesterday and today South Florida with host have many of the great Chateau from Bordeaux who are in town for the UGC tasting in Miami to taste the outstanding 2016 vintage. I can’t make it to the tasting because of our big event here at the store but I love Bordeaux and, will be there in spirit- which means I did not plan appropriately this year. 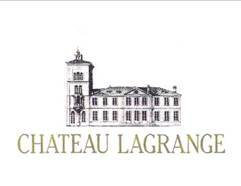 I will be going to Bordeaux in April to taste the 2018 vintage wines at the annual UGC tasting and we will be hosting several great Bordeaux events here at the Wine Bar like this event with Chateau Lagrange to get ready this big event over the next few months. Historically, a good number of chateaux in the Medoc produced a white wine primarily destined for their own consumption or receptions. This was the case for Château Lagrange until the beginning of the sixties. 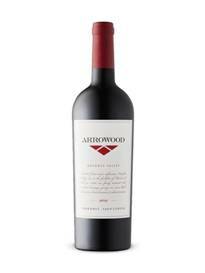 Then, due to the bad economic situation at the time, production of this wine was abandoned. The tradition was revived starting with the 1997 vintage, and a dry white wine (AOC Bordeaux) was put on the Bordeaux market called “Les Arums De Lagrange”. Soil: Homogeneous sandy gravel. Surface: 6 hectares. Location: Cussac Fort Médoc. Grape varieties: 60% Sauvignon Blanc / 20% Sémillon / 20% Sauvignon Gris. Traditional vinification. No malolactic fermentation. Ageing of 6 months in 20% new oak. Ageing Potential – 3 to 5 years. The fee for this tasting which includes dinner is $125 + tax for reservations call 954-523-9463 or e-mail andy@winewatch.com. A place of great agricultural activity even back in Gallo-Roman times: from the Gallo-Roman VILLA RUSTICA to the « GRANGIA » in the Middle Ages which was to give the estate its name. Baron de Brane, a Bordeaux parliament member, and owner of Mouton, acquires the property and its renown thus becomes more widespread. In 1790, Jean-Valère Cabarrus, an influential merchant known to be very active in the shipping business, invests in the property and establishes his own sales network. In 1820, he commissions Visconti to build the Tuscan-style tower that is to become the emblem of Château Lagrange. – Innovation with a pottery drainage pipe factory. 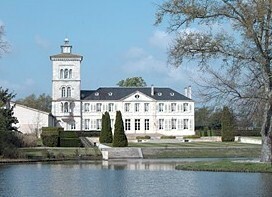 – Château Lagrange now stretches over 300 hectares of which 120 are under vine. – The Count is a politician, Home Secretary to King Louis-Philippe. – Passion for the arts, Member of the Académie des Beaux Arts. The Japanese group, Suntory, acquired the domain when the purchase was signed by the company president, Mr Keizo Saji, in 1983. Marcel Ducasse was then recruited along with Kenji Suzuta to undertake the complete restructuring of the vineyard and a spectacular renovation of the whole estate. This first step was to mark the rebirth of CHÂTEAU LAGRANGE. After twenty years of dedicated work, as well as human and technical investments, Lagrange had once again found recognition amidst its peers and had achieved a certain sense of fulfilment. Today a new tandem, Matthieu Bordes and Keiichi Shiina, have taken over this quest for excellence. A second phase of investments began with the 2008 vintage, offering Lagrange the technical means to follow its ambitions: The production of refined, elegant and expressive wines, in the best Saint-Julien style. There has also been an evolution of production methods towards a greater awareness of the environment and a reduction of ecological impact on the property. This philosophy is reflected not only in the respect shown for the domain’s History, and the nurturing of its truly exceptional Terroir, but also in the unique experiences shared all over the world around a glass of one of Lagrange’s wines. Following consultation with our oenologist, Eric BOISSENOT, the wines are blended only a few months after harvest, to achieve a better harmonization of the tannins and plot origins. The wines are aged in French oak barrels, of which 60% are renewed each year. They are racked in the age-old way every 3 months. During this essential 20-month maturation period, the cellar is maintained at 15°C and the ambient humidity is carefully controlled so that the qualities of each vintage may be exalted. 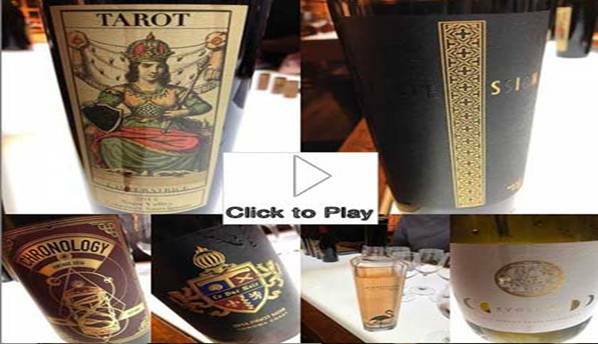 Secret Indulgence is a collaboration with Jean Charles Boisset and several of his winemakers making a unique set of wines that are all small production having their own unique personality. All of the wines in this collection are 2000 cases or less so very limited production.